Does my screen porch count as square footage for tax purposes? As a design/ build firm of custom outdoor screen porches, patios, and decks, customers often inquire as to the tax implications and resale value of adding a screen porch. In terms of from a legal standpoint as well as a listing realtor, screen porches DO NOT count as square footage in your homes value equation. They DO however increase the value of the home! 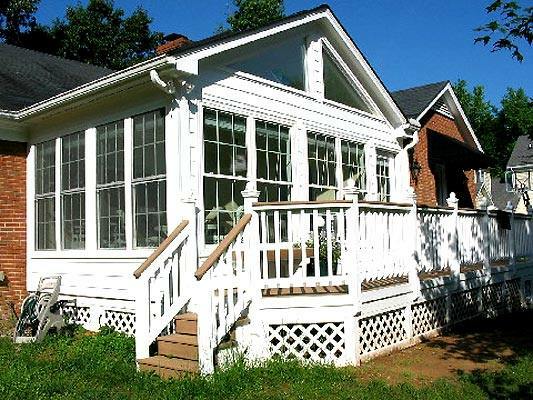 In North Carolina and South Carolina, the average return on investment (ROI) when you add a screen porch is somewhere north of 80%, which ranks right up there with the best investments you can make in your home. When you add that to the fact that it will most likely become your favorite and most used space for entertaining, it is a great investment. How can I have a screen porch and not block the light out of my house? Here in the Carolinas, we enjoy our near year around sunshine and outdoor living like few other areas! 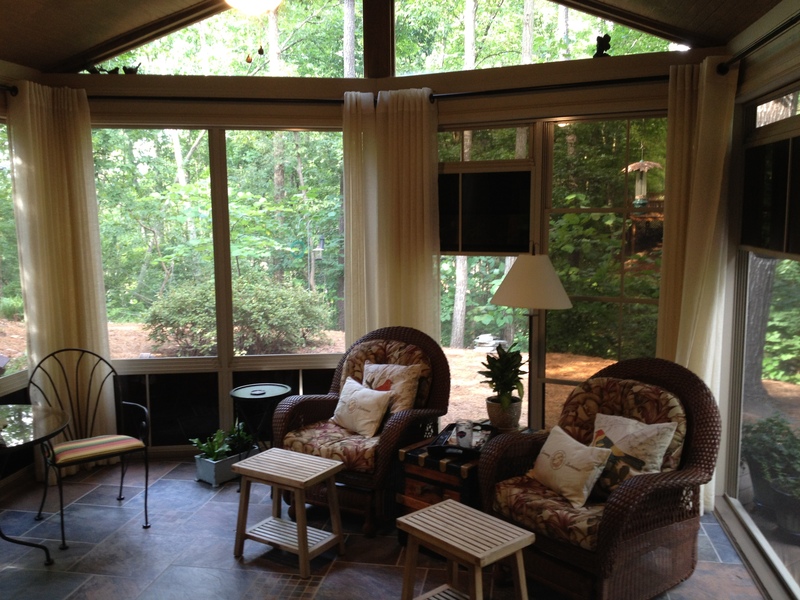 A terrific way to enjoy the outdoors is having a screen porch on the back of your home. This product keeps insects off and away from you and keeps the sun from melting you. Having said that, a primary concern people often express is that they do not want to block all the light from coming back into their home. This blog will give you some ways to think through the design and minimize the loss of light! 1. If your home is dark already, adding a roof will not change this. When I am designing for someone who says “my house is so dark, I don’t want to add a roof and block out the light”. If you think about this, it is flawed logic. If your home is light, then adding a roof should be a concern. If it’s already dark, there is no danger here. 2. Of all of the roof designs, a vaulted gable roof will allow the most light back into your home. This not only allows light through the screen walls but also above the front header. Depending on the obstructions like windows above where you want to build the roof, you can get a decent pitch and allow the maximum light back in. 3. Skylights will allow light back into the screen porch but not necessarily back into your home. The last thought I have on this topic is look at which rooms you use the most and if you really want to cover those with a roof or can you place the roof over a different area on the back of the house?